Pekka Rinne shut out Toronto for the second time this season and Brian Boyle, Wayne Simmonds and Filip Forsberg scored goals to give the Nashville Predators a 3-0 win over the slumping Maple Leafs on Tuesday night. PekkaRinne is starting to regain some of his Vezina Trophy form he showed last season. And the Predators, last season's Presidents' Trophy winner, are finally developing some consistency. Rinne shut out Toronto for the second time this season and Brian Boyle, Wayne Simmonds and FilipForsberg scored goals to give the Predators a 3-0 win over the slumping Maple Leafs on Tuesday night. "You can sense that in the locker room the confidence is getting higher and it's a funny thing how it goes," Rinne said. "But it's the best thing in the world winning some games in a row." Nashville won its third straight and Toronto lost for the fourth time in five games. Rinne made 22 saves for his 55th career shutout. Nashville also beat Toronto 4-0 on Jan. 7 when Rinne made 18 saves. Nashville became the second team in NHL history to sweep a two-game series with Toronto with a pair of shutouts. Philadelphia is the only other team to do that in 1992-93. 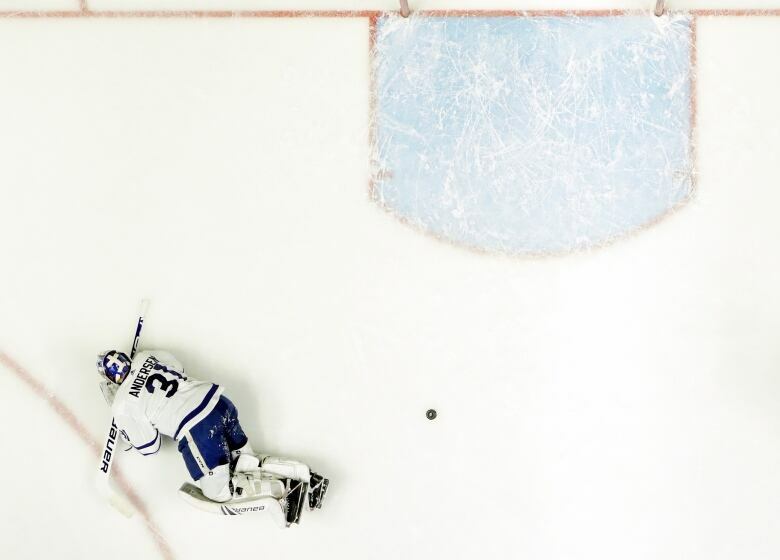 Toronto goalie Frederik Andersen made 17 stops. "They're a proven playoff team and they've been playing like that for a while," Andersen said of the Predators, who made it to the second round last season and the Stanley Cup Final in 2017. "They don't give up too many shots and too many chances, so that's playoff-type hockey and that's something we've got to get used to." Nashville pulled within one point of first-place Winnipeg in the Central Division. But the Predators have played two more games. Toronto fell six points behind second-place Boston in the Atlantic Division. Boyle gave the Predators a 1-0 lead when he sent a one-timer from the slot past Andersen glove-side at 4:47 of the first period. It was his 18th goal of the season and fifth since joining Nashville on Feb. 7 after a trade with New Jersey. Ryan Johansen recorded his 48th assist, a career high, on the goal. "Joey makes a nice read and knocks the puck down and throws a really nice pass," Boyle said. "He knew they were out there for a bit and thought they were tired. It was fun to be part of." Nashville made it 2-0 when Simmonds poked a shot into an open net after taking a perfectly placed pass from Ryan Ellis at 9:13 of the third period. It was his first goal as a Predator since arriving in a deal with Philadelphia minutes before the trade deadline. He has 17 goals on the season. "It was a strong 60-minute effort and I thought we were good from the net out tonight," Simmonds said. "I think we're starting to gel. We've added a few pieces. Pekka is unbelievable, unreal. It seems like he just stops everything. Him and Juuse [Saros] are two of the best goalies in the league." Forsberg added an empty-netter with 2:09 left. Defence took over in the second period when Toronto held Nashville to two shots and the Maple Leafs managed just eight. Rinne made a sprawling save to rob John Tavares four minutes into the third period. Tavares leads the Leafs with 40 goals. "It was a pretty traditional 3 on 2," Rinne said. "The rebound was right there for Tavares and I just knew that I had to get something over there. I guess it's desperation — just threw my hand and my leg out there and it happened to hit me." Toronto allowed 23 goals in its previous four games as it went 1-3-0.